In the words of writer Simon Van Booy, “For those who are lost, there will always be cities that feel like home.” Design State of Mind celebrates the metropolitan character and pulse of the specific city I’m highlighting. 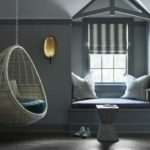 The unique character and feel that defines various regions around the world, and the design trends that make these cities stand out. 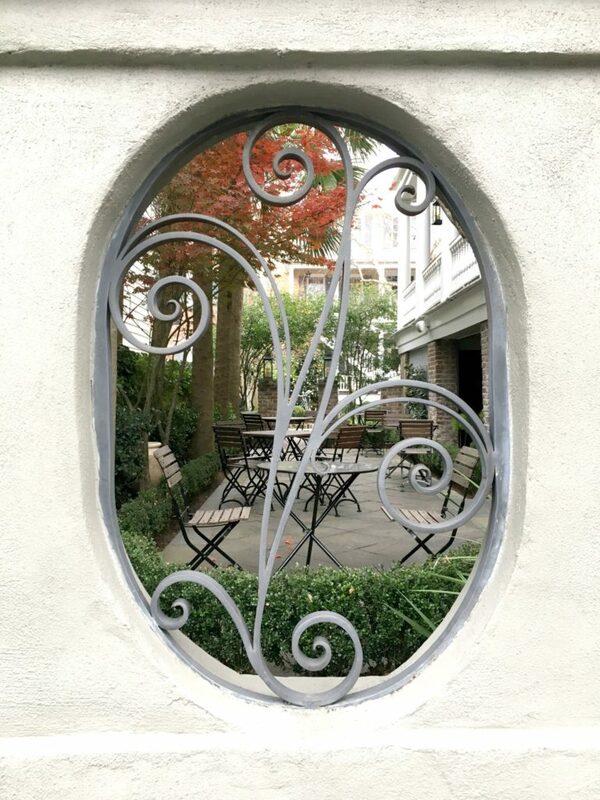 This month, I’m spotlighting Charleston, South Carolina. With its amazing historical architecture, coral rooftops, and antebellum charm, the city feels both frozen in time, yet brimming with modern vibrancy. 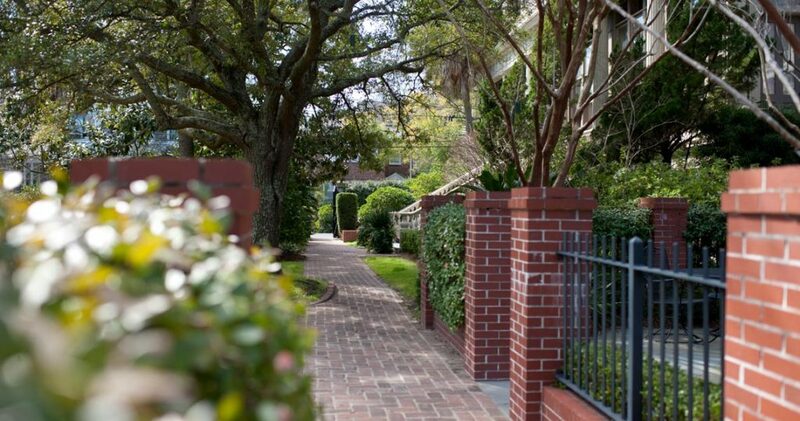 From its storied past, to its beautiful palm-dotted waterfront, Charleston has a little bit of something for everyone. I recently spent time in this quaint city, taking detailed notes of my favorite haunts: everything from galleries to shopping to delicious eats. As an avid traveler, I have got exploring and shopping in new locations down to an art. Below, my Charleston picks. 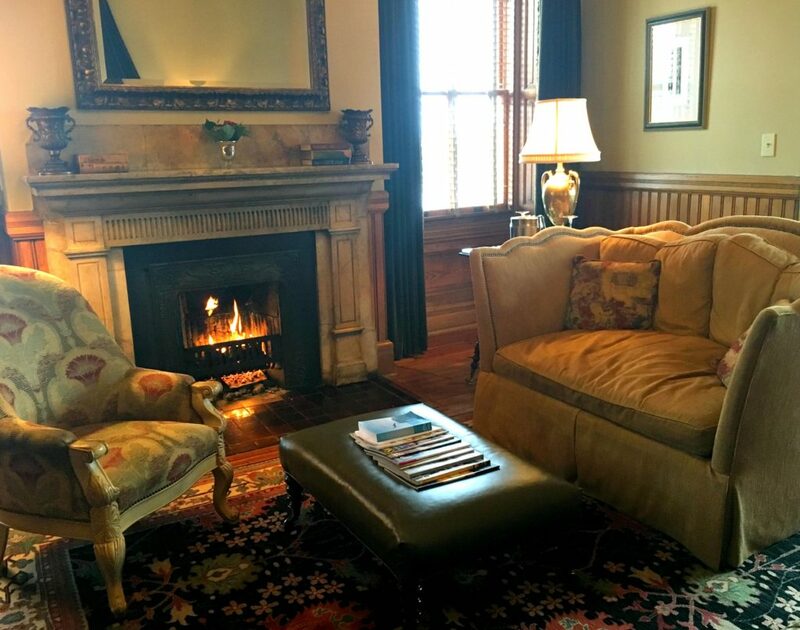 My husband and I had the pleasure of staying at the stunning Wentworth Mansion. 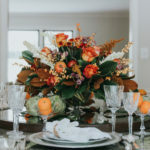 Standout features included the beautiful lookout tower at the top of the hotel and Circa 1886, the incredible onsite restaurant located across the courtyard on the property. Every morning, we enjoyed a delicious breakfast there, a great start to our days of walking the city. 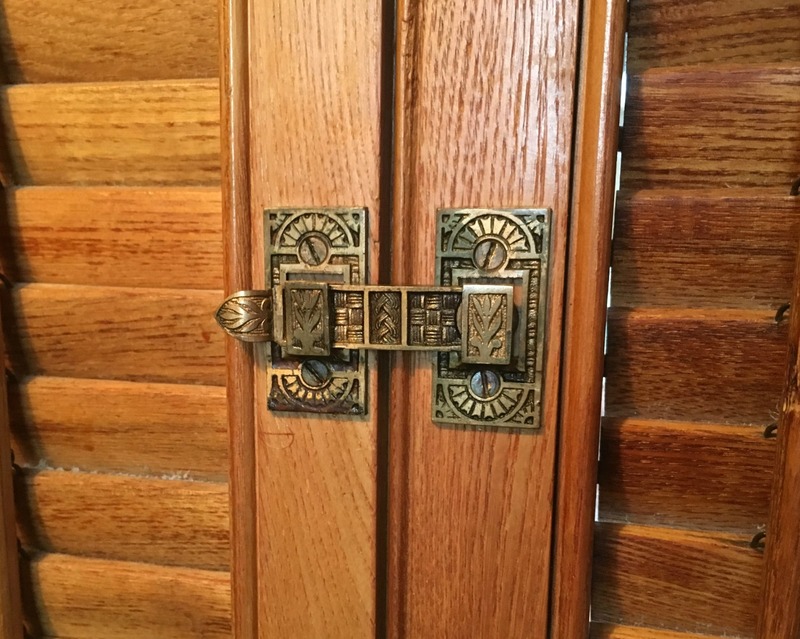 Other noteworthy details were the stained glass, parquet floors, detailed hardware, and inlaid terra-cotta floors. 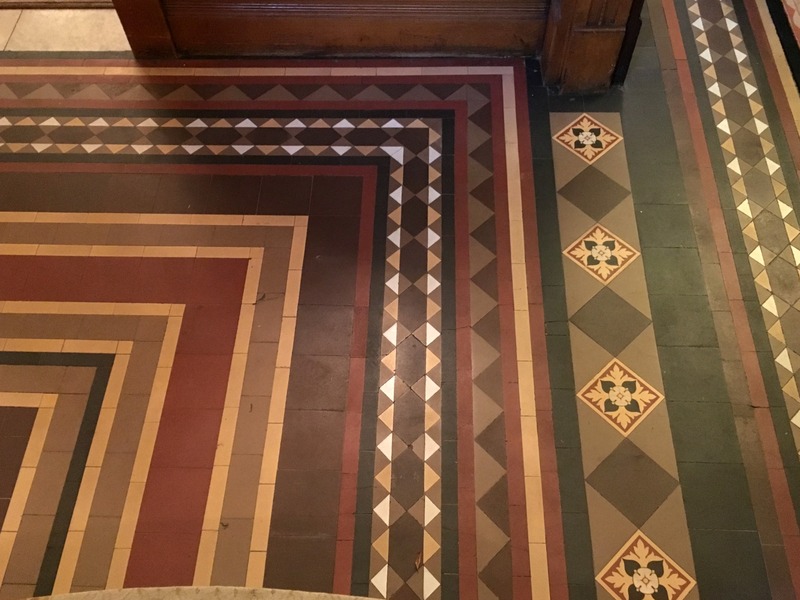 I loved the architectural details throughout the hotel. 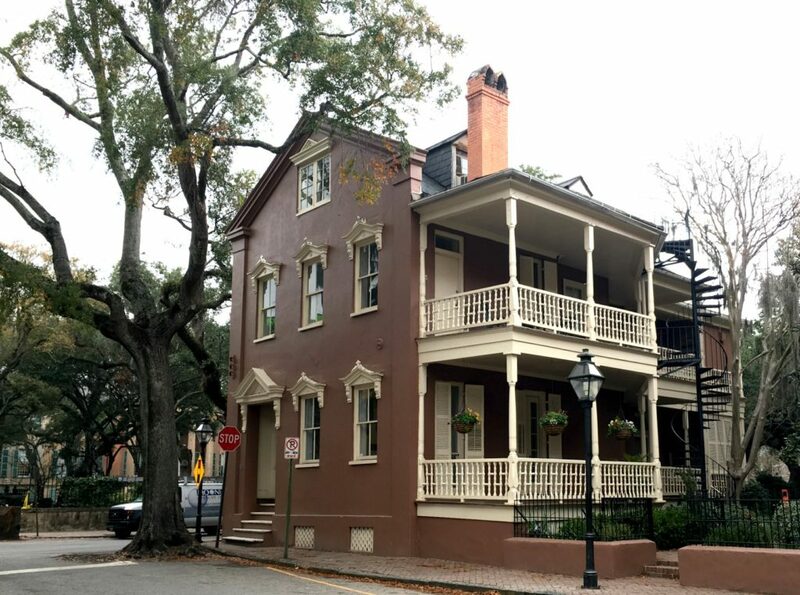 There is a layer of Southern hospitality inherent to Charleston, and it was wonderful getting to experience that hospitality firsthand at Wentworth Mansion. 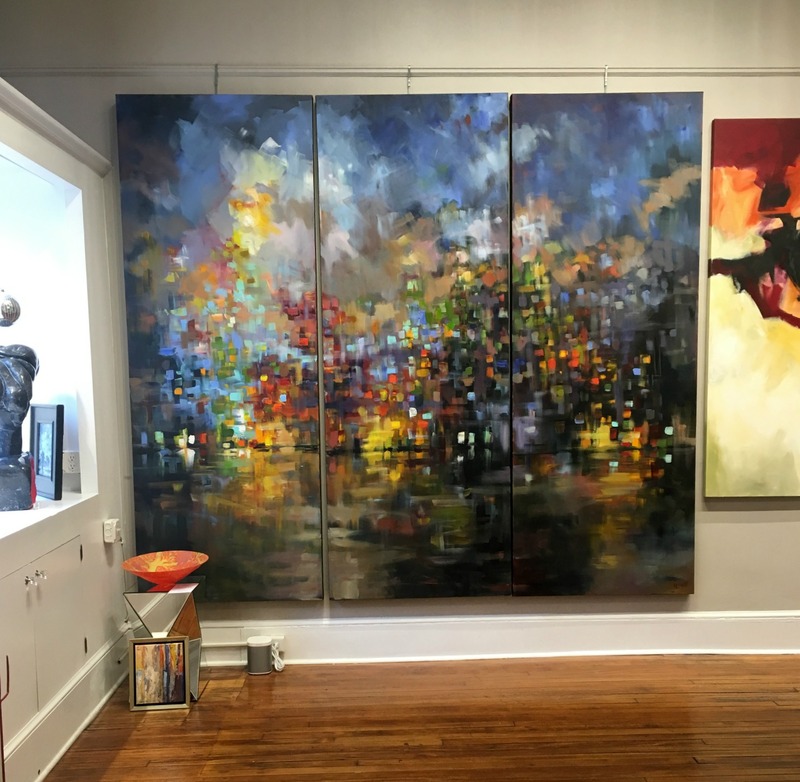 Atelier Gallery is a popular Charleston-based studio. If you’re someone who enjoys browsing a large variety of art, but finds museums daunting, this gallery is suited to you. 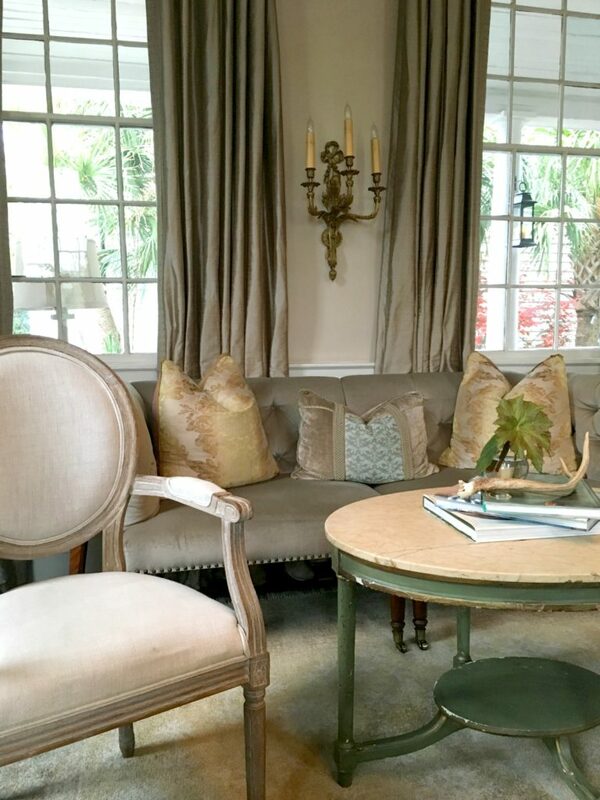 The collections sample all styles, from traditional to contemporary. Founder Gabrielle Egan selects each artist by hand “for their unique approach to their artwork, their dedication to their craft and ability to innovate,” according to the gallery’s site. When ArtStar asked me to share the best gallery I’ve been to in the last three months, I was quick to respond with Atelier. Charleston, South Carolina knocked my socks off when I was there this past December. They have a striking gathering of art that is beautifully displayed, and a very welcoming space. There are quite a few pieces that I can’t stop thinking about. 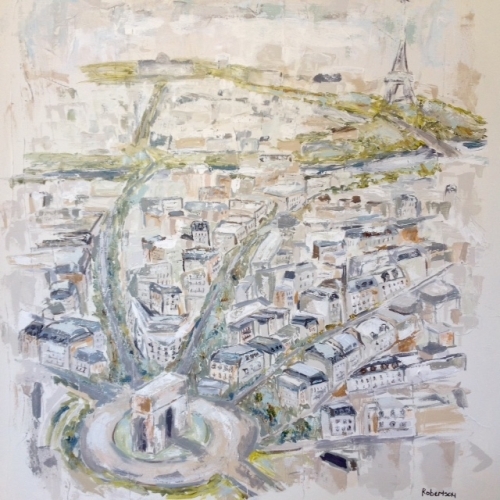 Another one of my picks is Reinert Fine Art Gallery, and amazing online art source even if you can’t make the trip. The space houses a great body of contemporary impressionist oil paintings done by Rick Reinert, as well as the exceptional works of forty other artists. Reinert is known to be a prolific painter and is nationally renowned for his vibrant, brushstroke-heavy style. Taking time off after his initial success to found several small businesses, the artist ended up becoming a well-known advocate for campaign finance reform, for which he was featured in a Time cover story in 2000. Since his return to the art scene, Reinert continues to make quite a splash in the art world. 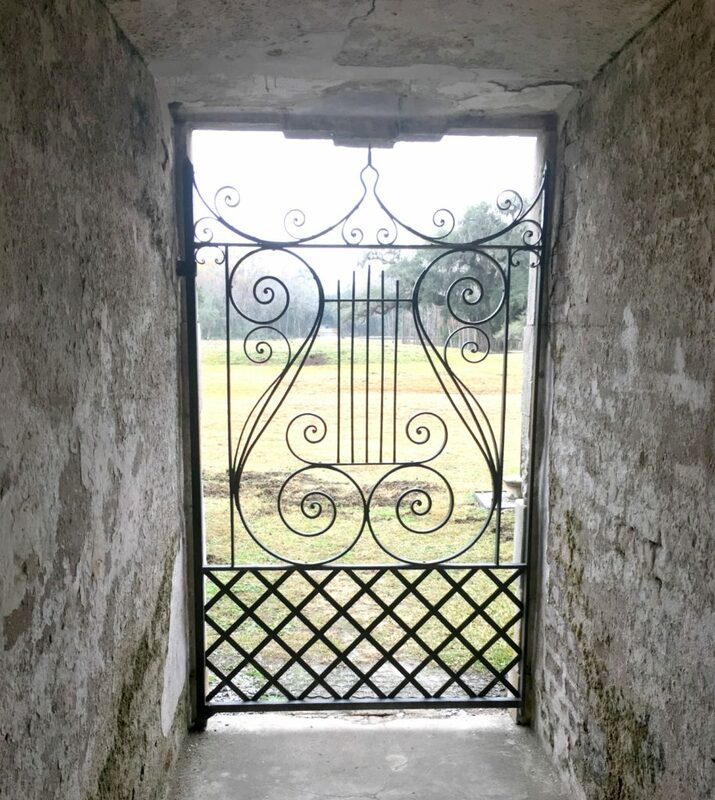 To visit Drayton Hall is to take a walk through history. 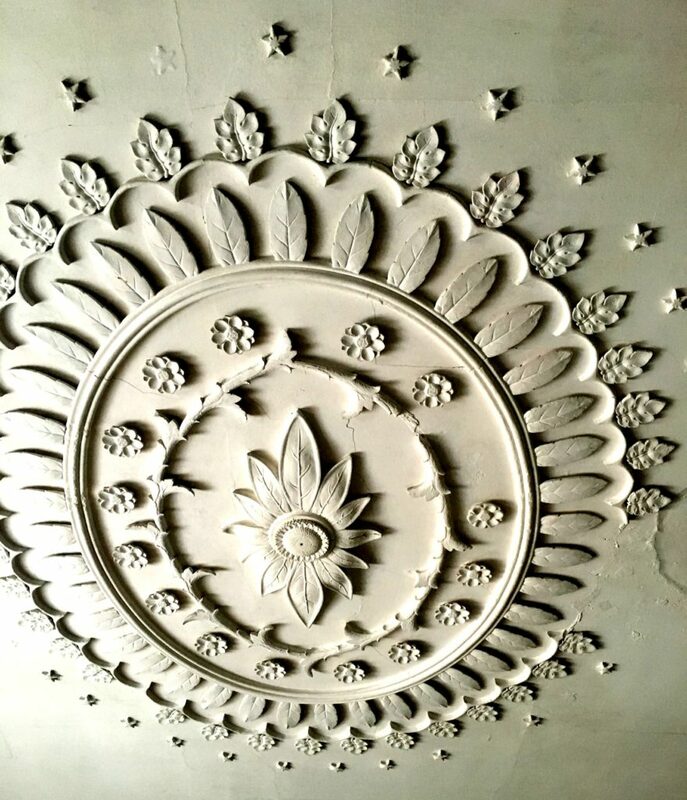 Originally coined “Palace and Gardens,” America’s oldest plantation house is a Georgian-Palladian architectural masterpiece. 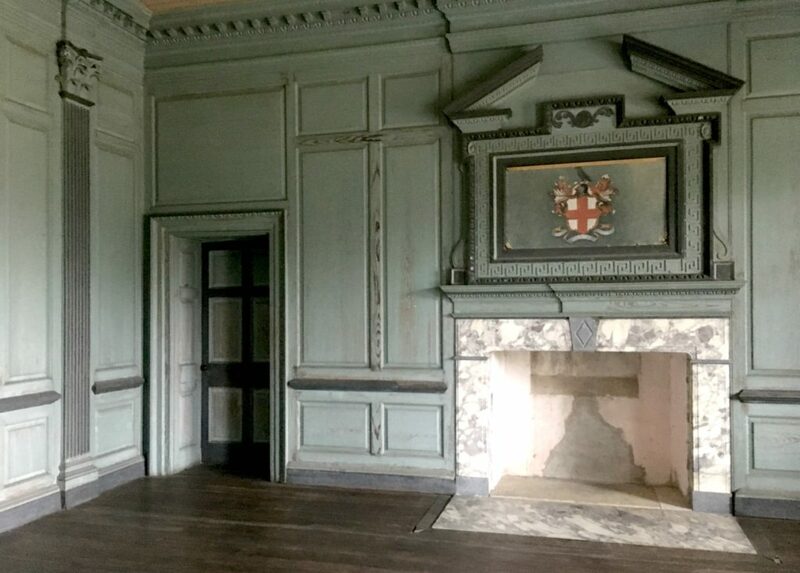 In existence since 1738, it’s a must-see for any historical buff. 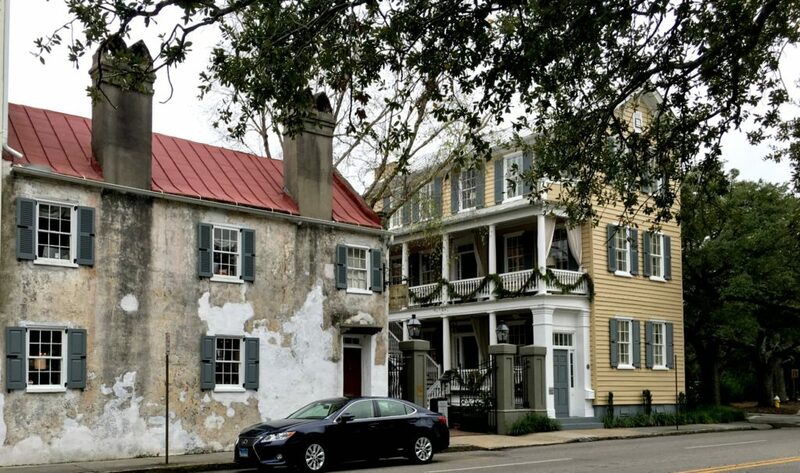 Charleston is infused with history that is felt at every turn. 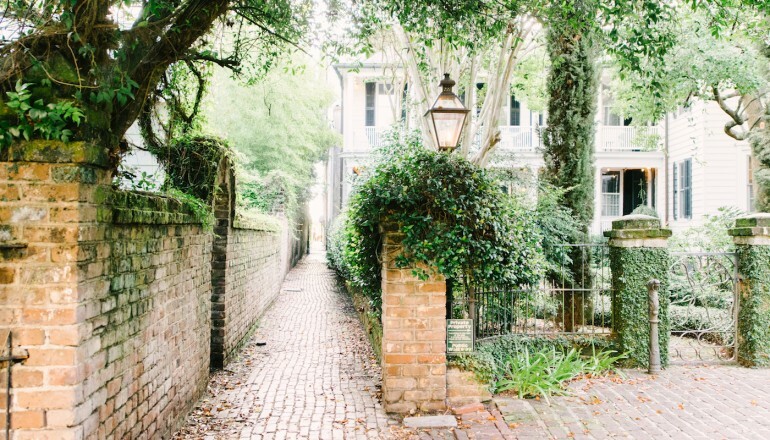 Cobblestone streets and southern style homes are some of the city’s most attractive features, particularly in the historic district. Everywhere you look, you see the well-known side porches. 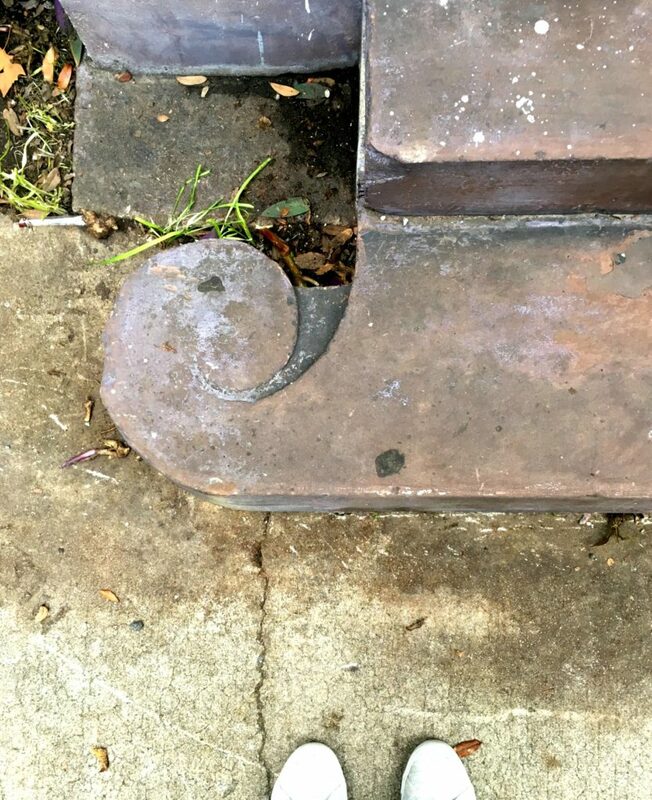 This rolled step detail is all southern charm, and one of my favorite details. An unnecessary flourish. An artistic moment, full of grit, soul, and authenticity. Beauty for beauty’s sake. 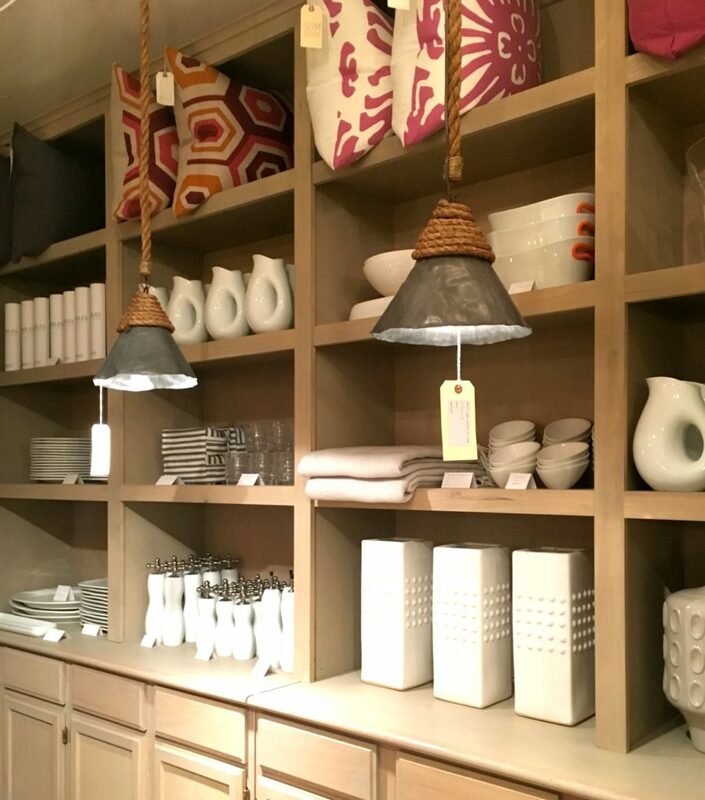 If you love home décor as much as I do, then you’ll want to step into South of Market. With a vast collection of antiques sourced from Belgium and France, an assortment of classical lighting, and accessories ranging from books to candles, you won’t be leaving the store empty handed. 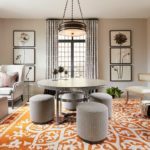 Founded by interior designers Kay Douglass and Dixie Peeples, the duo’s style hinges on clean lines mixed with unexpected textural and color pairings for an innovative mix. I loved that the store was organized by color-blocking, my favorite being the black and white section. I’m a black and white girl at heart. I love that graphic punch. 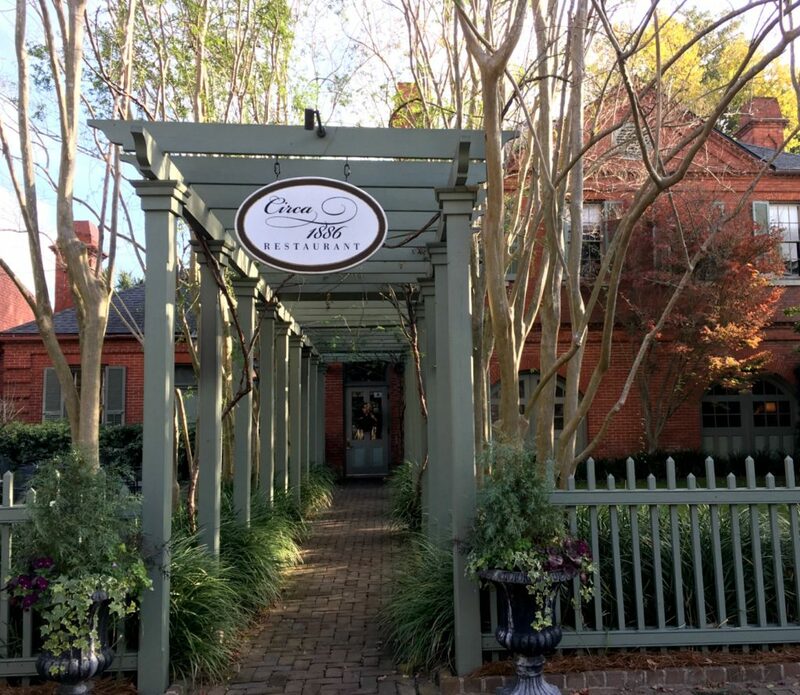 If antiques are more your thing, Charleston has plenty of those as well. 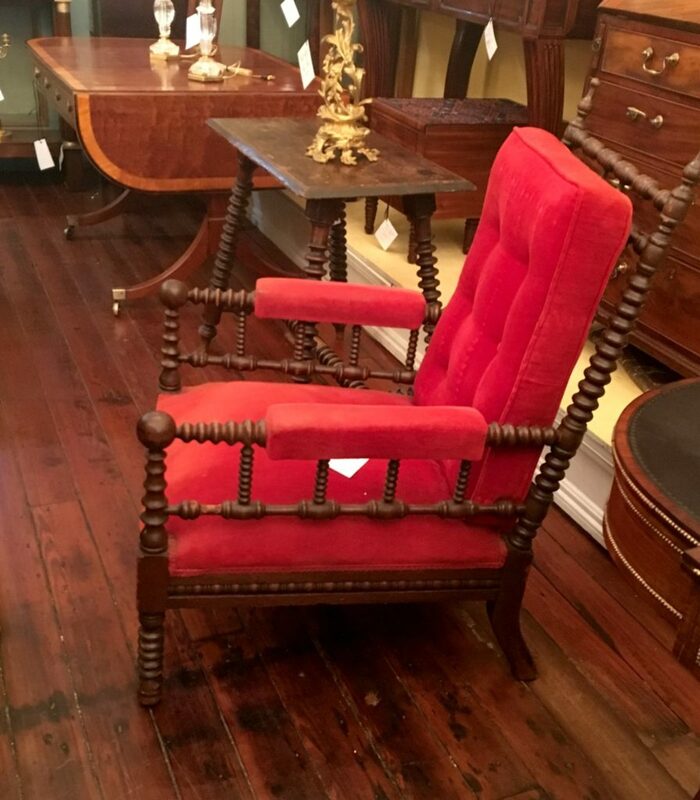 During my hunt for vintage treasures, I came across this fantastic Bobbin chair. The Bobbin chair has been around for a long time, but is really having a moment. I love it because it’s visually interesting—clean lines, yet detailed. One morning on our walk from the hotel to downtown, my husband and I stumbled into Black Tap Coffee by chance. I had a lavender latte that was incredible. 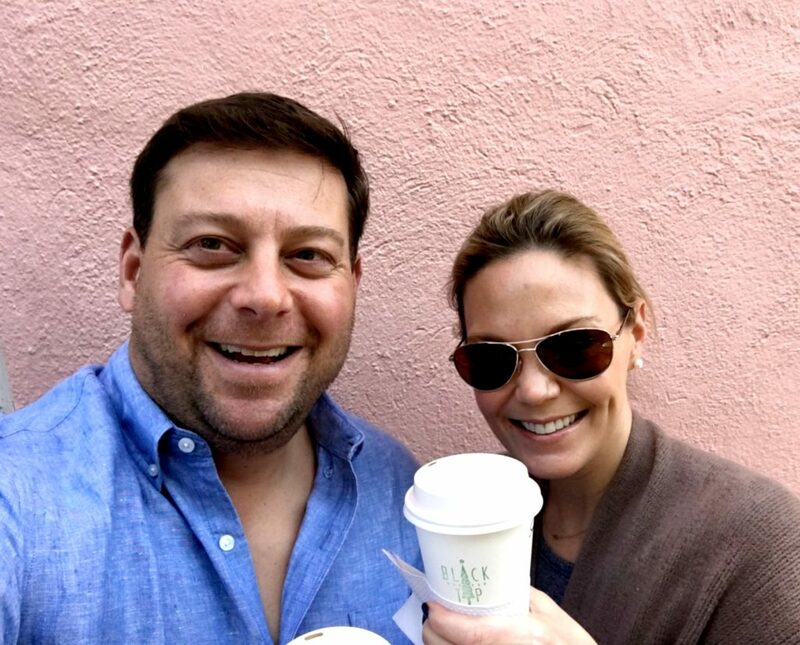 I cracked up when a local commented ‘That’s the best coffee in Charleston.’ It’s got a great vibe. Another local favorite to try after a morning of exploring and shopping: Leon’s Oyster Shop. 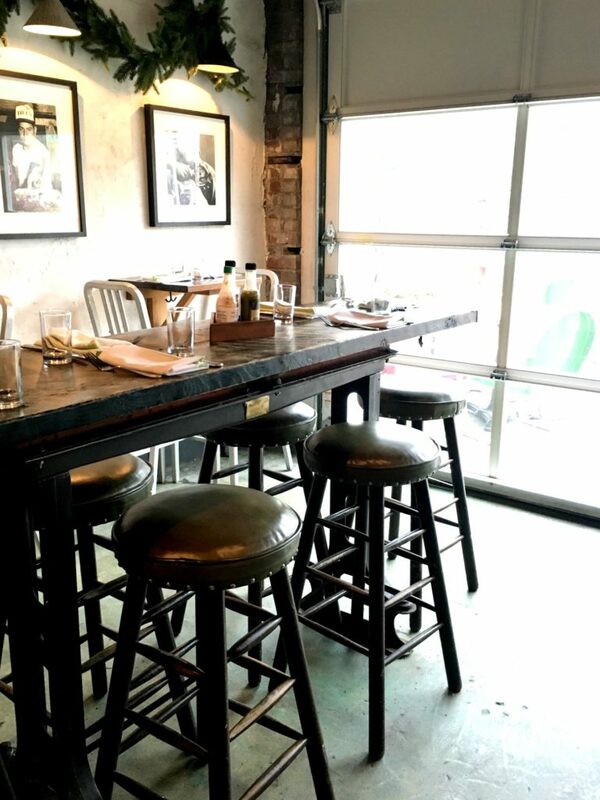 The restaurant is known for their great food and a rustic-chic industrial aesthetic. 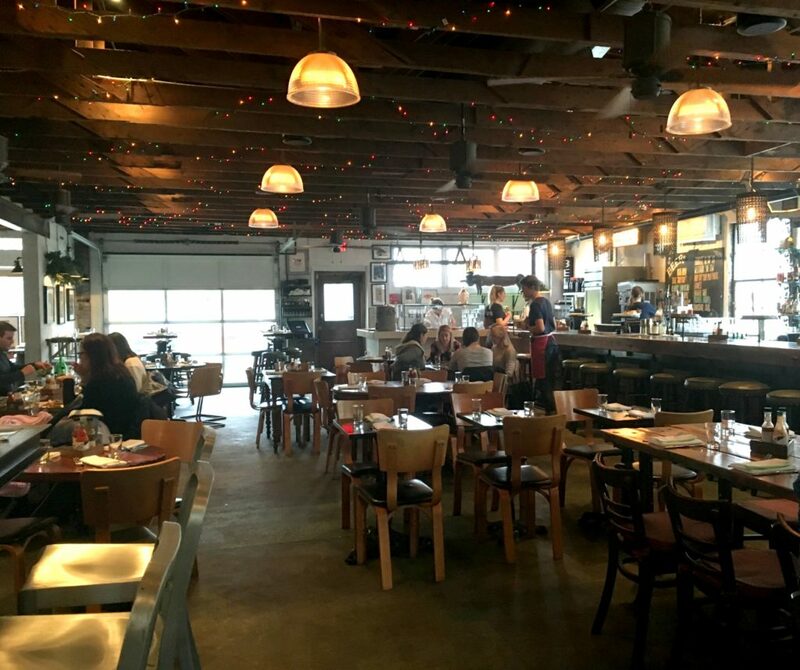 Set in a now-defunct auto body shop, the scene is easygoing dining with an element of cool mixed in. Do not leave without trying their oysters and fried chicken. Last, but certainly not least, be sure to stop by Zero Restaurant + Bar, the chic restaurant located inside Zero George Street‘s hotel. 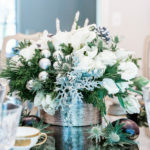 My husband and I enjoyed a delicious end-of-day cocktail while admiring the simple yet elegant holiday decorations. 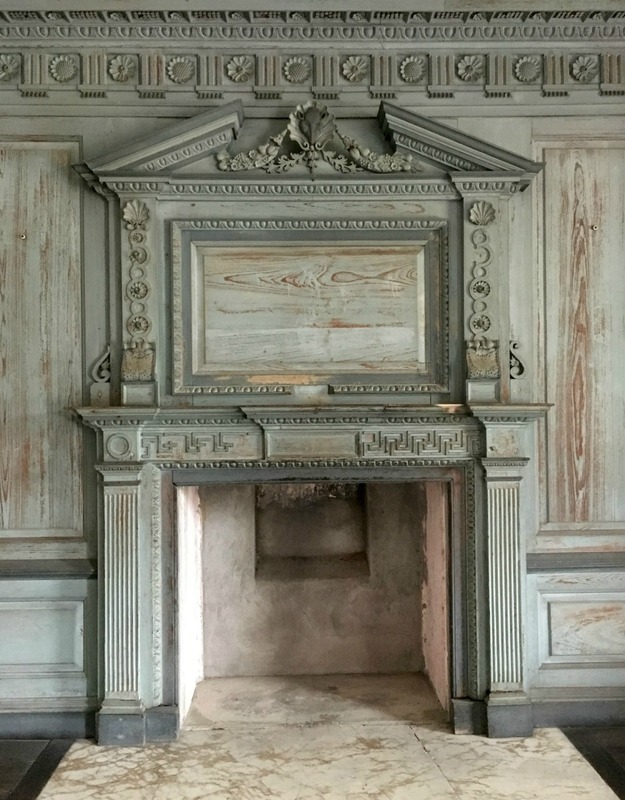 When it comes to fireplace mantle décor, I prefer a classic, but lush, winter-green approach, and Zero George Street did not disappoint. 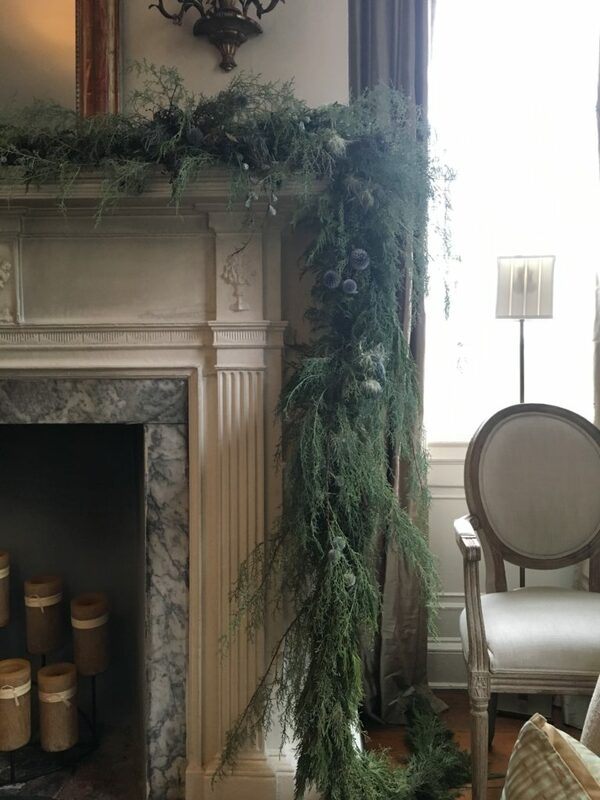 The historic mantle was adorned with natural garland, creating a sophisticated yet cozy seasonal vibe well suited to the holidays. 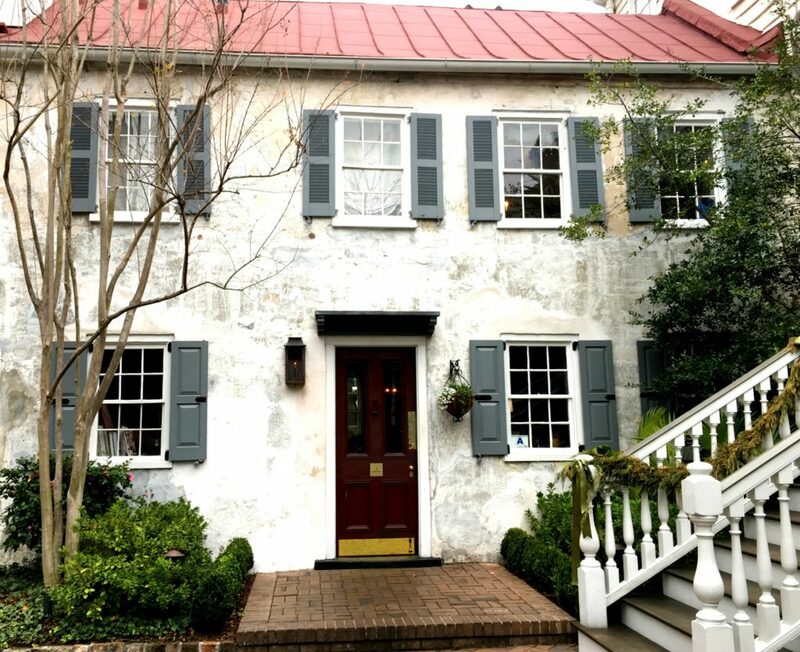 Charleston is charming, yet energizing, and rich in history, much like some of our favorite home styles. If you’ve visited Charleston, comment with your favorite local attractions or tweet them to me using the hashtag #HOFCityGuide. It’s a city I’d visit again in a heartbeat.